Charles DeVore concentrates his practice on complex commercial litigation, enforcement actions and government investigations. 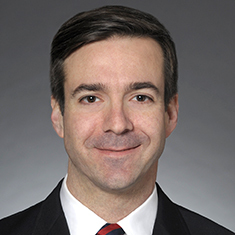 Charles has significant experience litigating complex commercial and white collar cases. He also represents clients in the financial sector in enforcement proceedings and regulatory investigations before the Securities and Exchange Commission (SEC), the Commodity Futures Trading Commission (CFTC), the Financial Industry Regulatory Authority (FINRA) and self-regulatory bodies. Additionally, Charles maintains an active pro bono practice. He recently worked with a team from Northwestern University's Bluhm Legal Clinic to secure the release of a client who had been wrongfully convicted of first-degree murder and imprisoned for 15 years. The case was featured in a front-page Chicago Tribune article. Charles also was appointed by the US Court of Appeals for the Seventh Circuit to represent an indigent client challenging a criminal conviction.